What’s cooler than catching a glimpse of a colorful hot air balloon floating through the morning sky? How about 500 of them. 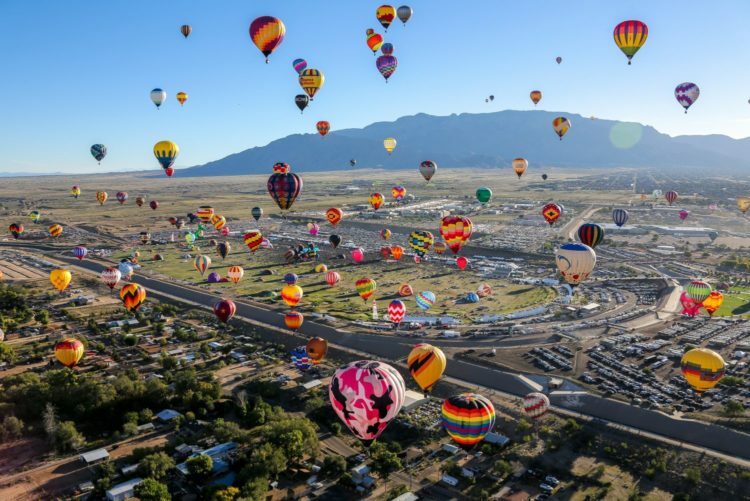 This year, the Albuquerque International Balloon Fiesta is celebrating its 47th event, October 6-14. 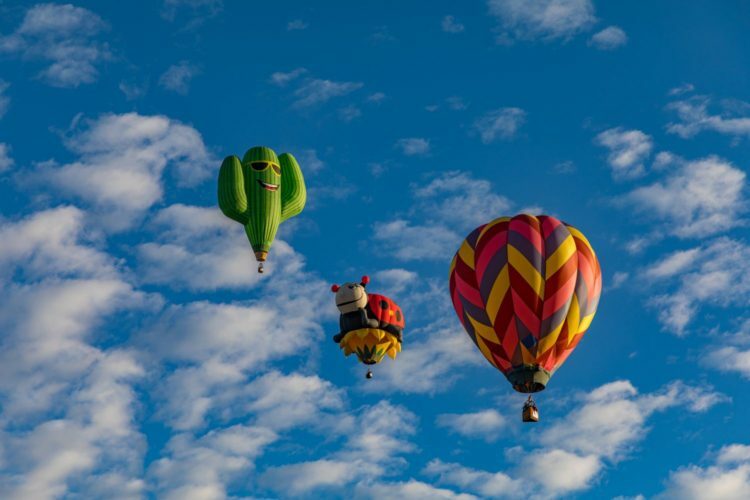 What started with 13 balloons in a shopping mall parking lot in 1972 has grown into the largest hot air balloon festival in the world, drawing spectators and pilots from around the globe. And with Albuquerque only a short, six-hour drive from Phoenix, there’s no reason not to find yourself flying above the Land of Enchantment. Packing in more than 500 balloons, the Balloon Fiesta Park’s launch field alone spans the size of 54 football fields. As the world’s largest hot air balloon festival, the nine-day event is often considered the most photographed event in the world. With so many balloons taking to the sky, festival-goers have endless opportunities to capture both close-up shots and panoramic skies speckled with hundreds of balloons. Don’t miss Mass Ascension, occurring weekend mornings and Wednesday morning, when all the balloons take off from the park at once. Of the hundreds of balloons, nearly 100 will be uniquely shaped. To get the best views of these, visit Thursday or Friday during the Special Shape Rodeo. Even when the sun goes down, the balloons are still the stars of the show. The popular balloon glows are a magical nighttime display of balloons lit from within. The real stunner is when they all fire their burners, lighting up simultaneously. Afterwards, stick around for a glittery firework show to top off the night. 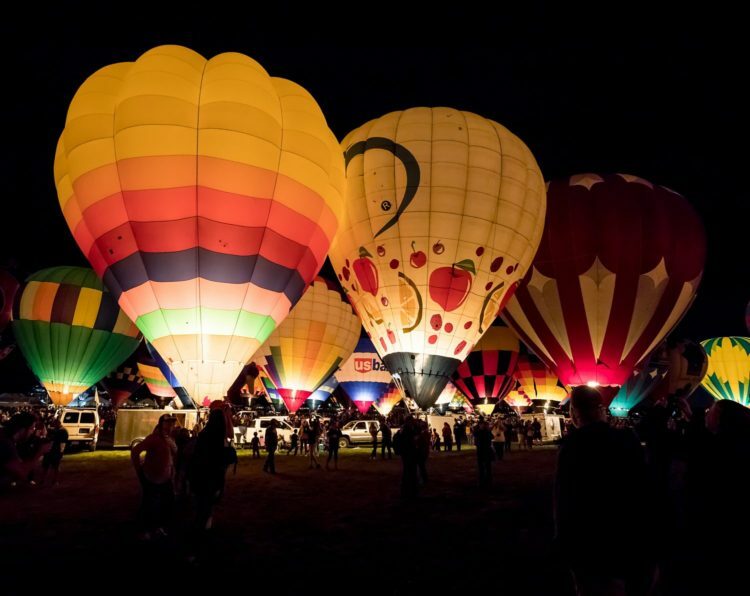 Five balloon glows are scheduled for this year featuring a variety of events. Visit the first Sunday night (Oct. 7) for the largest glow of the week. 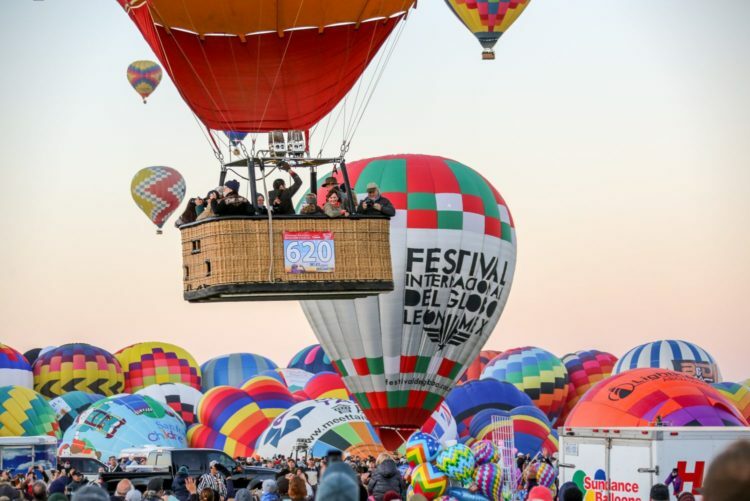 From food and music to competitions and more, the Balloon Fiesta has plenty to see on the ground too. In addition to daily entertainment, a one-day music festival will take place on October 13 and will feature The Noms, Michael Ray and headlining country band Old Dominion. Other fun events include the Special Shape Rodeo, a celebration of the uniquely shaped balloons; a balloon discovery center where you can learn the ins and outs of building and flying the balloons; chainsaw carving; an arts and crafts show; a laser light show; fireworks and more. Not to mention, you can even be a part of the show with an official balloon ride. If there’s one reason to visit Albuquerque other than the colorful balloons, it’s for the food. New Mexico’s official question is “red or green (chile)?” afterall. Whether you’re filling up at the festival or around town, you’re bound to have something smothered in the state’s official food. At the festival, enjoy plenty of mouthwatering eats from traditional New Mexican food to classic festival treats. While Albuquerque boasts a dry climate with mostly sunny days, it’s still home to all four seasons. Visiting in October means you’ll enjoy cool, crisp mornings with mild temperatures throughout the day. While the city’s fall air and changing trees provide the perfect backdrop for admiring hot air balloons, its weather and geography is what makes it ideal for launching into the sky. Its diverse altitudes and promising winds have created the “Albuquerque Box,” a natural occurrence where winds blow in a box-like pattern. This sometimes allows balloons to land right where they took off. Want to go for a ride? 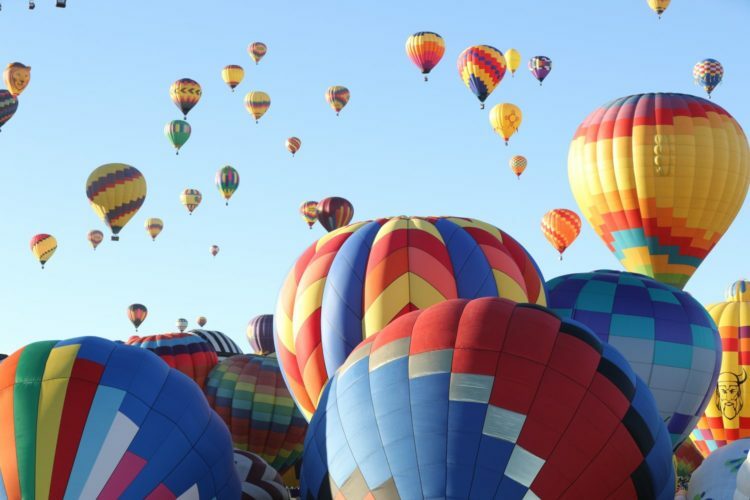 Rainbow Ryders is the official balloon ride operator for the Albuquerque Balloon Fiesta (and have been since 1999!) and is the only operator to launch at the event. Choose from rides during sunrise, sunset and pre- and post-event. To book a ride or for more info, click here.